Do you have a National Parks bucket list? 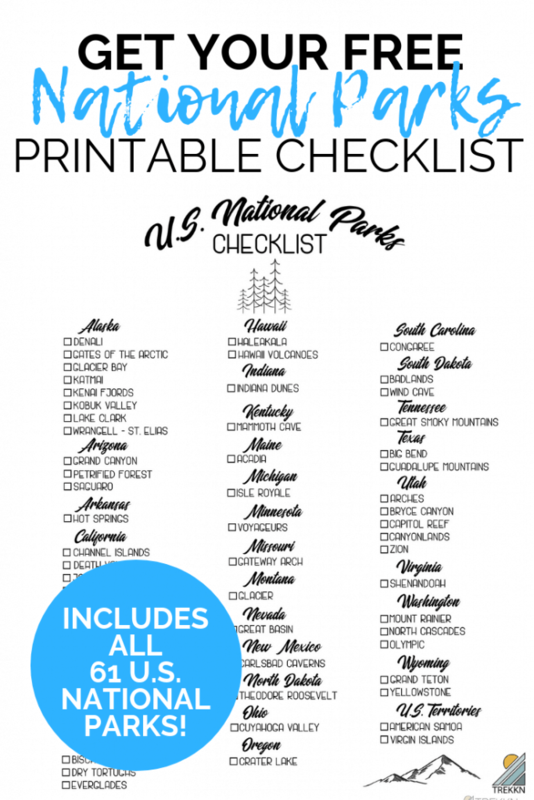 If so, here’s your free printable list of National Parks by state so you can check them off one by one. If you’ve ever had the chance to step foot in one of America’s beautiful National Parks, then you know just how magical they are. 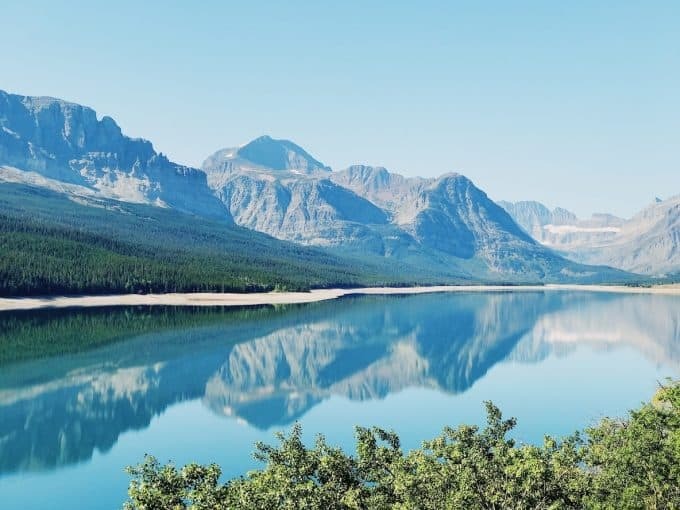 Whether you’re on the west coast and experiencing the beautiful mountains of Glacier National Park or you’re in Florida walking past the alligators in Everglades National Park, each individual park has something special to offer. We’ve visited 15 National Parks so far, with the hopes of checking off many more in the coming years. The very first National Park we visited was Rocky Mountain National Park in Colorado. Next was Yosemite. After that was Teton NP and Yellowstone and Glacier. Needless to say, it didn’t take long to get us hooked on these natural wonders. 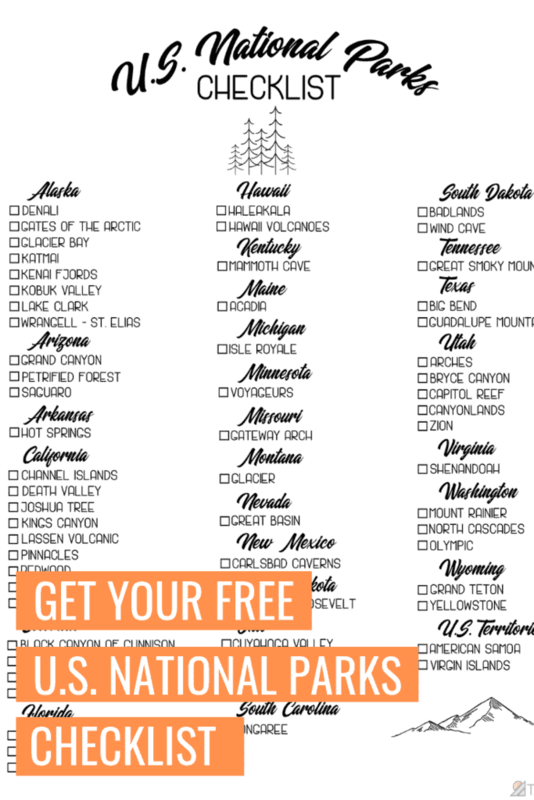 How to Get Your Printable List of National Parks in the U.S.
To instantly receive your free printable, just click on the link or the photo below, save and then print! How many U.S. National Parks are there? Update as of 4/16/19: There are now 61 National Parks, with Indiana Dunes National Park being the newest one added! The printable above includes the new one. The National Park System encompasses 418 national park sites in the United States. They span across more than 84 million acres in each state and extend into the territories, including parks in Puerto Rico, the Virgin Islands, American Samoa, and Guam. Within the system, there are 60 sites that include “National Park” as part of their proper name such as Acadia, Everglades, Grand Canyon, and Yellowstone. The newest National Park to join the list in 2018 is Gateway Arch National Park in Missouri. Zion – Check out all of the things to do with kids at this park! If you’re curious about some of the best National Parks in the world, check out our post where we asked travel bloggers to share their favorite. Let us know how many National Parks you’ve visited and which ones are your favorites!